If you teach about the ocean, rivers, lakes or wetlands, then you know how difficult it can be to get reliable, up-to-date information and activities. Why not tap into a network of professionals? 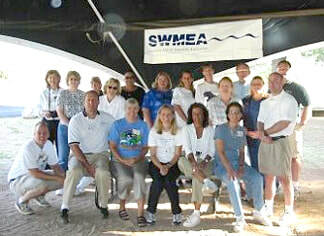 SWMEA connects aquarium and museum educators and teachers who are dedicated to the world of water and the production of high quality educational material. Subscription to The SWMEA Connection, an electronic quarterly newsletter that provides members with chapter news, updates on events and workshops, educational resources and activities, and networking opportunities with fellow members. SWMEA members get a discounted NMEA membership rate. You’ll receive a discount code with your SWMEA membership to use when joining NMEA. Ready to Join SWMEA today? Print and mail the membership form or join today online.